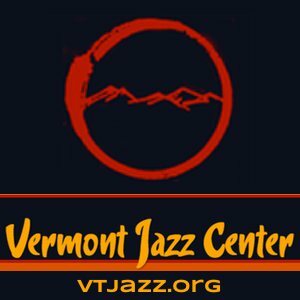 West Brattleboro, Vt. – Friends of Music at Guilford’s tenth annual celebration of Women in Music begins at 6:00 p.m. on Sunday, April 14, and salutes Katherine Faulkner “Kay” Swift (1897-1993). She was a classically trained composer who became George Gershwin’s trusted musical advisor and companion. After Gershwin (1898-1937) encouraged her to compose popular music, Swift became the first woman to write a hit Broadway musical, “Fine and Dandy” (1930), now the borrowed title for FOMAG’s gala. Some of both genres of music will be performed at this house-concert benefit for FOMAG’s current 53rd season. The program opens with a piano transcription of the Overture to “Fine and Dandy,” performed by Virginia Eskin, and later includes Swift’s Theme and Variations for Piano and Cello, performed with cellist Rebecca Hartka. Eskin will also accompany several songs from Swift’s musical theater and film scores featuring vocals by Jessica Gelter and Tony Grobe. The “Fine & Dandy” gala begins with a pre-concert buffet supper. The post-concert dessert course includes donated delicacies from area inns, restaurants, and bakeries. The annually featured Silent Auction includes items and certificates from several merchants and restaurants but is noted especially for offering over two dozen pairs of tickets to regional concerts, plays, opera, cinema, and more at 2-for-1 opening bids. Donor’s events are publicized, auction winners save money, and FOMAG earns needed support, a win-win for all. Kismet played a big role in composer Kay Swift’s life. Introduced to classical music by her music critic father, she began studying piano and composition as a child and graduated from the Institute of Musical Art, which evolved into Juilliard. She met Gershwin in 1925 and began writing for musical theater in partnership with her husband, banker James Paul Warburg, who used the nom de plume Paul James as her lyricist. Their marriage ended in 1934, a consequence of her long involvement with Gershwin. Swift scored a Balanchine ballet in 1934 and was staff composer at Radio City Music Hall in the late ’30s. After Gershwin’s tragic death from an inoperable brain tumor in 1937, Swift began working with his brother Ira on editing and publishing George’s unfinished works. 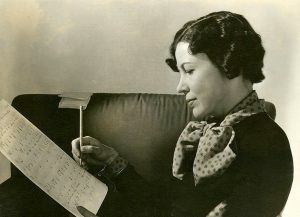 Swift used his “Dawn of a New Day” as the theme for the 1939 New York World’s Fair, for which she was serving as Director of Light Music. Later in 1939, Swift impulsively eloped with a cowboy she met at a Madison Square Garden rodeo and moved to his Oregon ranch. This story was featured in the autobiographical novel “Who Could Ask For Anything More?” (1943), which was later adapted for the film “Never a Dull Moment” (1950) starring Fred MacMurray and Irene Dunne, with music by Swift. Swift’s lifelong devotion to Gershwin and his music led her to spending much time and creative energy on Gershwin projects until she was well into her 90s. She was a frequent consultant on various elements of Gershwin shows and performances, especially “Porgy & Bess,” which she could play in its entirety without a glance at the score. Virginia Eskin, a resident of New Hampshire and Boston, is a versatile piano soloist, chamber player, and lecturer, known for both standard classical repertoire and ragtime. Featured on over a dozen recordings, she has performed and taught throughout the U.S. and in Europe, has appeared on radio and television, and is a long-time champion of the works of American and European women composers. Rebecca Hartka, cello, holds a B.A. from Oberlin and earned her M.A. and D.M.A. at Boston University. She has concertized for over a decade in the U.S., Italy, Cuba, Vietnam, and Thailand. The Hanoi Times described her playing as “magical and eloquent.” Hartka’s three CD releases have been featured on NPR. Jessica Gelter, a former FOMAG trustee, has performed in its concerts of Spanish love songs and the music of Edith Piaf. Her performance of David Lang’s song cycle “Death Speaks” was the centerpiece of its 2018 multimedia program “The Last Dance.” Jess heads Arts Alive! in Keene and is a well-known regional actor and stage director. Tony Grobe assisted Jess in “Death Speaks” and was a soloist in FOMAG’s 2013 Messiah Sing. He is better known for Vermont Theatre Company stage appearances, last summer as Prospero in “The Tempest.” He has recently been featured in the role of Dr. Watson for the Baker Street Readers’ series of Sherlock Holmes stories. The “Find & Dandy” gala is set in an award-winning energy-efficient private home up the hill from Memorial Park in West Brattleboro. Tickets are $20 to $35 per person, on a sliding scale, and seating is limited. Further information and reservations are available by calling Friends of Music at (802) 254-3600 or emailing office@fomag.org. Visit www.fomag.org for a season calendar.